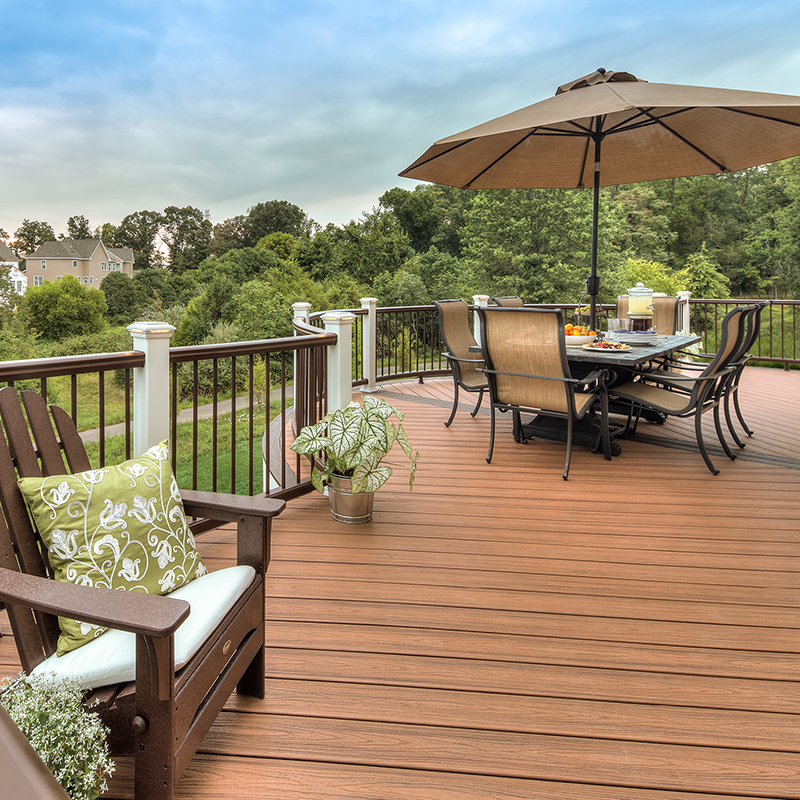 Why is Trex® composite decking better than using hardwood timber decking? 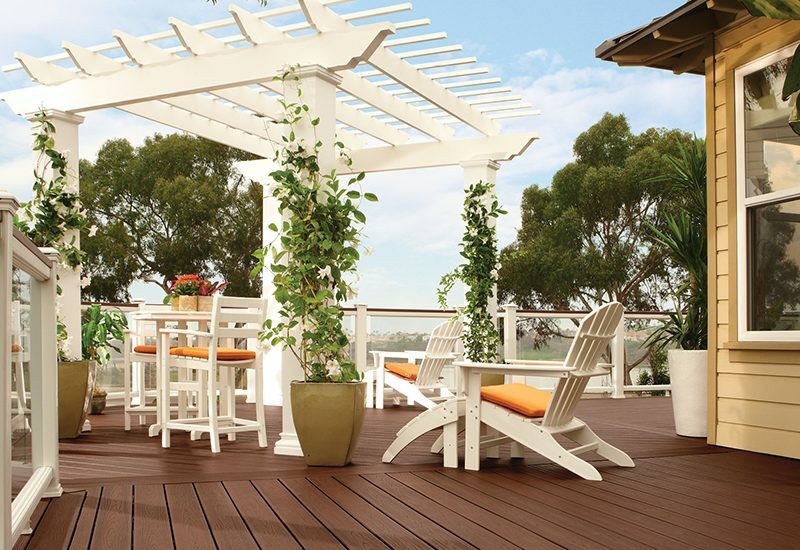 Trex decking offers a superior performance and durability that you cannot get from timber decking. Unlike timber, Trex decking never needs to be stained, oiled or painted. It will not warp, rot, splinter and is also resistant to termites. Being made from 95% recycled materials makes it an environmentally friendly choice. What is the difference between the Trex® Good, Better and Best Product Ranges? 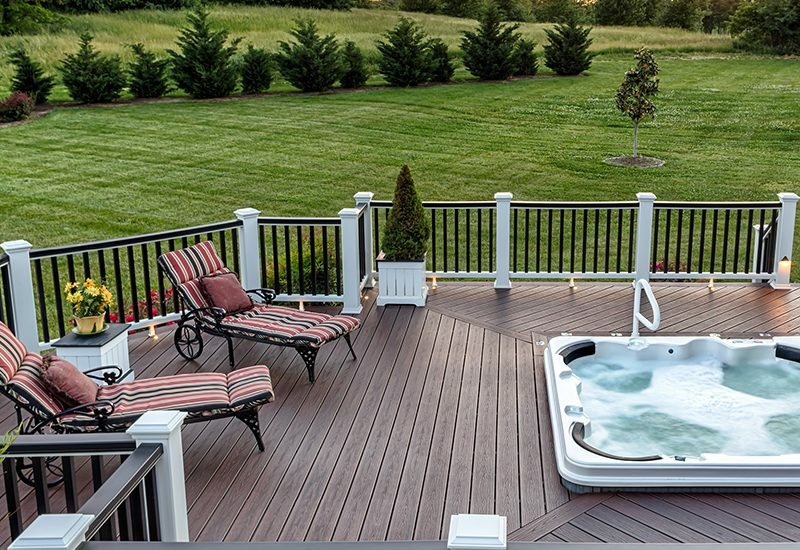 All Trex high-performance decking products combine low-maintenance upkeep and luxurious style backed by our 25-year Limited Residential Warranty. 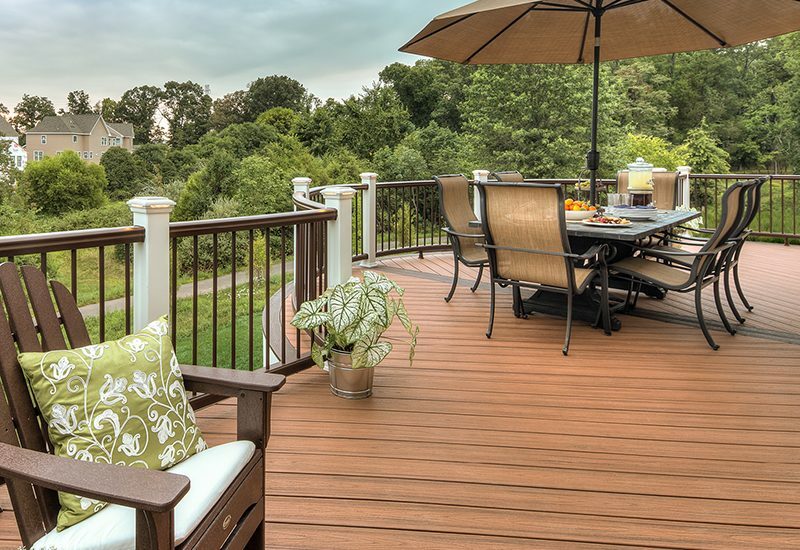 Beyond that, Trex offers a variety of high-performance decking choices to meet different levels of style, performance and affordability. Good, Better & Best. 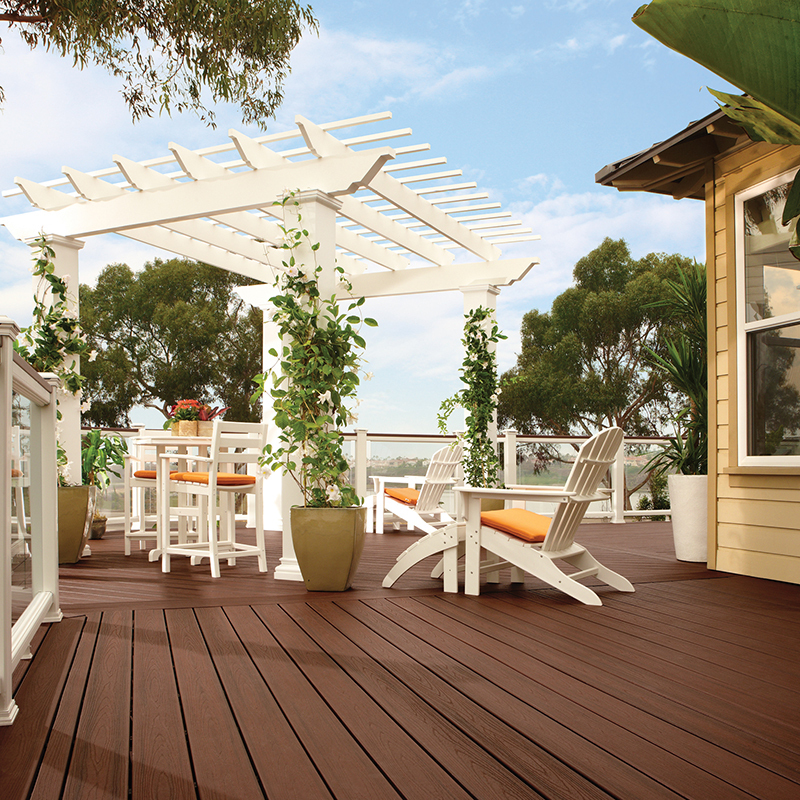 Trex Select® decking range is the simplest and most affordable high-performance system. The collection offers five nature inspired colours including – Madeira, Pebble Grey, Saddle, Winchester Grey and Woodland Brown. Trex Enhance® range allows designers and consumers to mix and match the product as the decking coordinates beautifully with any of the Trex railing lines to allow a completely custom look. The range is available in 3 classic shades – Clam Shell, Beach Dune & Saddle. This collection is compatible with the Trex Hideaway® hidden fasteners system for perfectly spaced boards with no visible screws and a completely smooth underfoot. Trex® Transcend range which is the only range currently available in Australia. This collection first debuted in 2010. Engineered with a proprietary shell technology that protects against fading, staining, scratching, mould and mildew, Transcend decking offers the ultimate in beauty and performance and is warranted accordingly – covered not only by the Trex 25-year Limited Residential Warranty but also an industry-best, 25-year Limited Residential Fade and Stain Warranty. 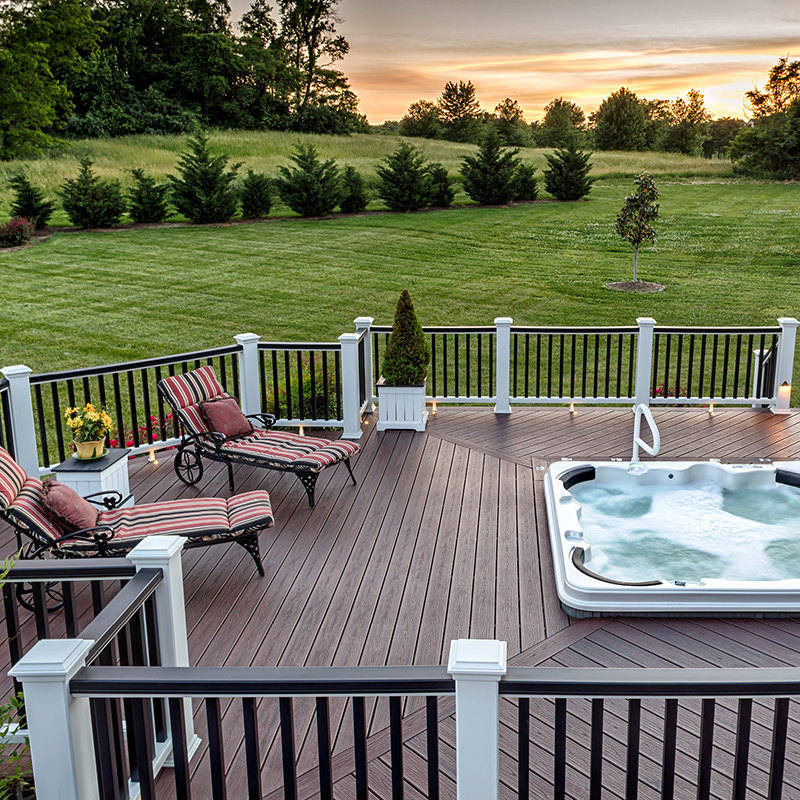 With Transcend, the beautiful deck you install now will look just as beautiful for decades to come. Trex® Transcend, offers the broadest range of decking colours and finishes (including five premium tropical colours) with railing options that offer nearly limitless opportunities to mix and match profiles and colours for a customized look. In Australia we offer the premium tropical range, with five (5) colours available including – Havana Gold, Island Mist, Lava Rock, Spiced Rum and Tiki Torch.